These bite sized cocktail franks partner perfectly with the zing of roast tomato. A great party food! Heat olive oil in a heavy based saucepan, sauté shallots until lightly browned. Add tomatoes, stirring until they soften. Add sugar, tomato paste and vinegar. Reduce heat to low and simmer for 60 minutes, stirring occasionally. Season. 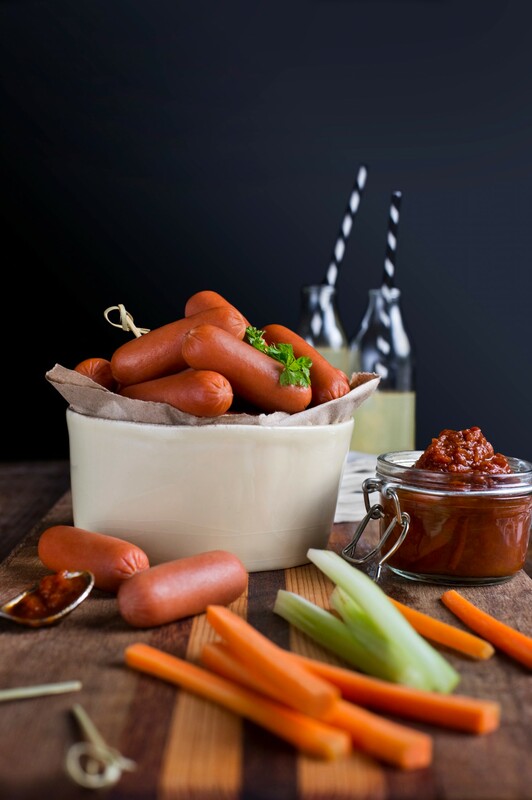 Arrange bowl of frankfurts with carrot and celery batons and chutney. Garnish with chervil sprigs.